Captured in a series of photos taken by Teslarati photographers Pauline Acalin and Tom Cross over several days, SpaceX Falcon fairing recovery vessel Mr. Steven and recovery technicians and engineers have been preparing and practicing for a campaign of controlled fairing drop tests. 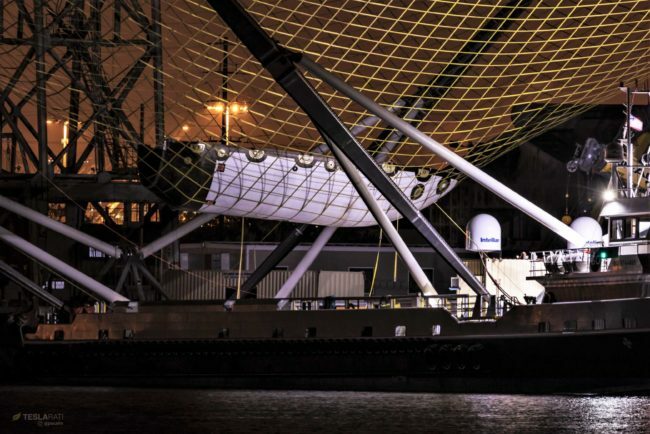 By using a helicopter to lift and drop a fairing into Mr. Steven’s net, SpaceX will be able to gather an unprecedented amount of data and control far more variables that might impact the success of recoveries. 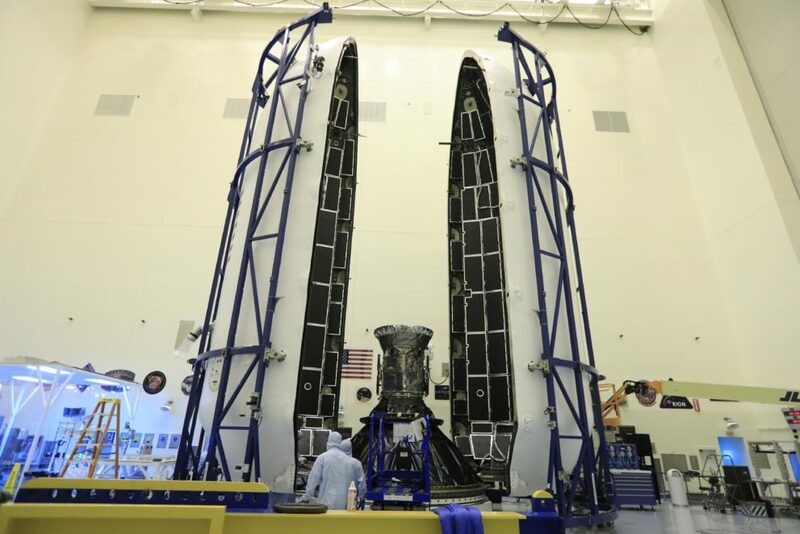 If the fairing is not destroyed in the process, this test series could be as long-lived as SpaceX’s Grasshopper program, used to work the largest up-front kinks out of Falcon 9 booster recovery. Although SpaceX technicians managed to reassemble and install Mr. Steven’s net and arm fairing recovery mechanisms in just a handful of days, finishing less than 48 hours before the West Coast launch of SAOCOM 1A, the ship remained in port for the mission, passing up its fifth opportunity to attempt recovery of one of Falcon 9’s two fairings halves. 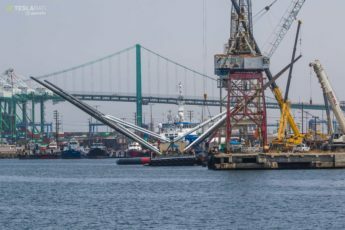 Why exactly Mr. Steven never left port is unclear and unconfirmed, although SpaceX did mention that recovery would not be attempted this time around during its official launch webcast. The most likely explanation is mundane – sea states with average swells as large as 4m (13ft) were forecasted (and later recorded) at and around the optimal fairing recovery zone. As a Fast Supply Vessel (FSV) explicitly designed to rapidly and reliably resupply oil rigs and other maritime work areas almost regardless of weather conditions, 4m waves would normally be a tiny pittance for ships as large and heavy as Mr. Steven and would be a nonsensical reason to halt deep-sea operations. 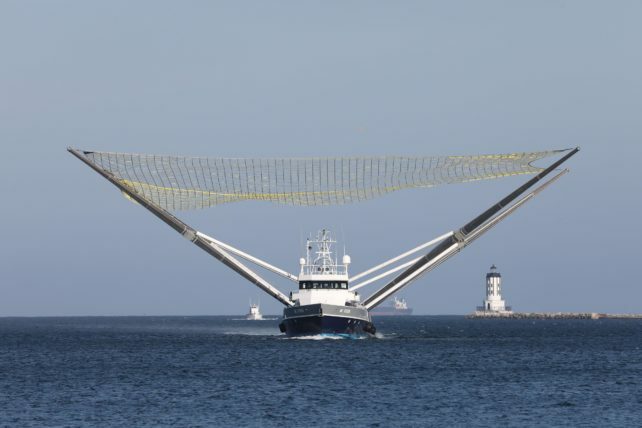 On the other hand, Mr. Steven is without a doubt the most unusual FSV in existence thanks to his massive arms and net, stretching at least 60m by 60m. 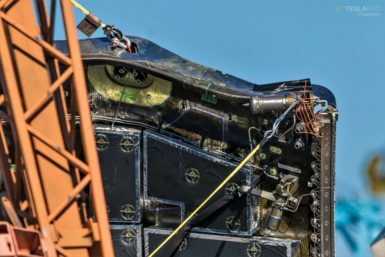 Based on photos of the arm installation process, significant lists of 5+ degrees are not uncommon when arms are unbalanced during normal staggered (one-at-a-time) installations, and SpaceX quite clearly installs the first two arms on opposite sides and orientations in order to minimize installation-related listing. 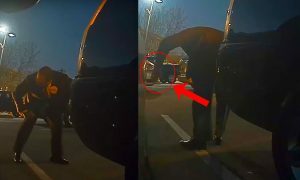 This indicates that his newest arms have significant mass and thus leverage over the boat’s roll characteristics, perhaps explaining why Mr. Steven has performed anywhere from 5-10 high-speed trials at sea both with and without arms installed. 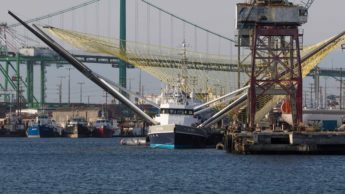 Most recently, however, Mr. Steven spent a solid six weeks armless at Berth 240 while some sort of maintenance, analysis, or upgrade was undertaken with those four arms and their eight shock-absorbing booms. It’s hard to know for sure, but there are no obvious visual changes between the arms installed in July and August and those now present on his deck, and the net also looks almost identical. What’s less familiar these days is an oddly arranged Falcon 9 payload fairing half that has been floating around SpaceX’s Port of Los Angeles berths for the last two or so weeks. Up until October 4th, the purpose of that single half was almost entirely unclear. 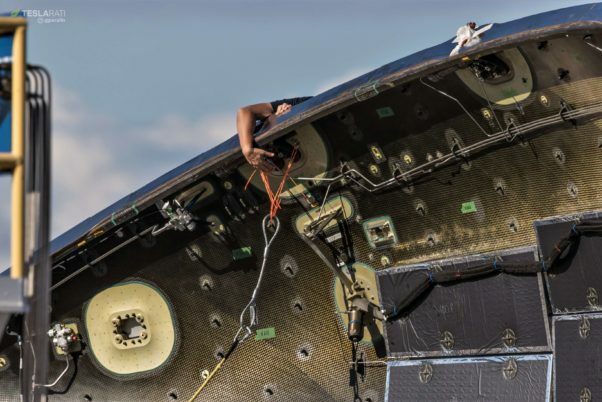 On October 4th, Teslarati’s entire space team (Tom, Pauline, and I) coincidentally arrived at the same time as 5-10 SpaceX technicians were working on the fairing, attaching a series of guylines and harnesses and inspecting a number of actuating mechanisms on the half. Just minutes after we arrived, a worker called out a short countdown and a wholly unexpected crashing noise sounded, followed immediately by several loud clangs as the harness connection mechanisms swung back and connected with metallic parts of the fairing. After the adrenaline wore off, the initial crashing noise was almost certainly the sound of the same mechanical jettison mechanism used to separate fairing halves ~3 minutes after the rocket lifts off. 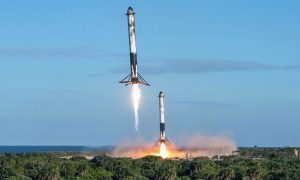 Once photos of the event could be examined more carefully, that was exactly what we found – the six harness connections were attached to the fairing by way of the same mechanical interface that allows two halves to safely attach to each other. 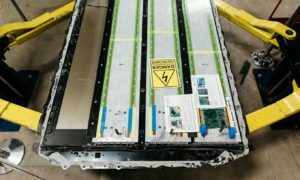 What we had witnessed was a harness separation test, using pressurized gas stored in COPVs (the gold striped cylinders) to rapidly actuate a latch, allowing the metal harness connectors to fall away. This is further evidenced by the presence of neon orange zip-ties connecting the ends of those harnesses to any sturdy fairing structure near the connection port, an easy and (presumably) affordable way to prevent those heavy connectors from swinging down and damaging sensitive piping and components. According to someone familiar with these activities, the purpose of that testing is to prepare for true fairing drop tests from a helicopter. The jettisonable harness would be a necessity for easy drop testing, allowing the helicopter to carry a basic cargo hook and line while technicians inside communicate with the fairing to engage its built-in separation mechanism, all while ensuring that it immediately begins a stable glide or free-fall after dropping. Observed on October 4th, it was at least moderately disappointing to see Mr. Steven remain in port during the spectacular Falcon 9 launch of SAOCOM 1A, October 7th. Reasons aside, roughly 12 hours after launch, Mr. Steven left on a 10+ hour cruise ~100 miles off the coast, where he repeatedly met up with tugboat Tommy and circled Santa Catalina Island once before heading back to port. Just 24 hours before launch (Oct. 6), the test fairing seen above was placed in Mr. Steven’s net for communications and harness testing – 24 hours after launch, Mr. Steven returned to Port of San Pedro after his 10-hour cruise with the same fairing half resting in his net. How and why it got there is unknown, as is the purpose of half a day spent boating around with the half in his net. However, a helicopter known to be involved in fairing drop tests was seen hovering and flying around Mr. Steven at the same time. 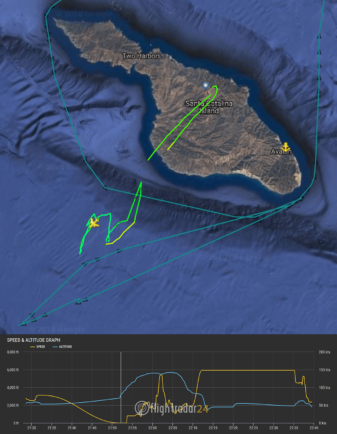 Perhaps the two were practicing for real drop attempts, or perhaps the helicopter actually dropped a Falcon fairing (from > 2000 feet) and Mr. Steven successful caught it. 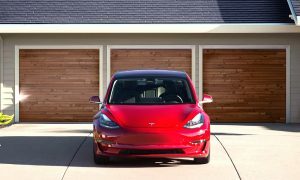 What is clear is that SpaceX is just getting started with efforts to perfect fairing recovery and eventually make the practice as (relatively) routine as Falcon 9 booster recovery and reuse is today. The latter was hardwon and the former will clearly be no easier.